In my attempts to get caught up, here is another divided page layout. I’m showing both sides in one post. 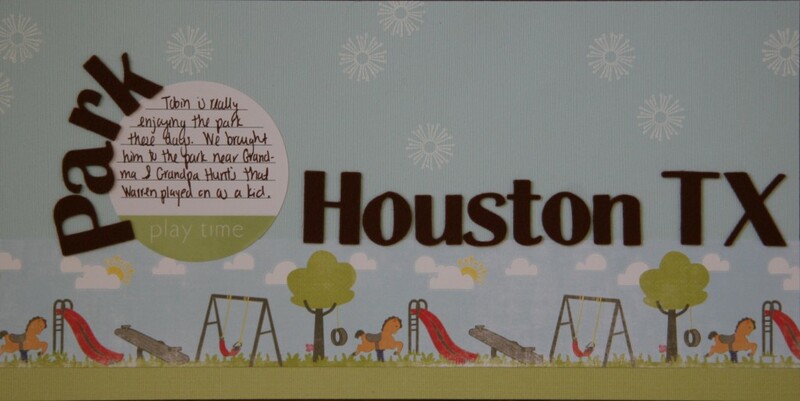 This style of page is much faster to put together because you just slide in the photos and add a smaller accent page. Oh, our silly baby bear. He keeps tasty food on his booster seat tray, but the yucky food is evicted to the grown up table. 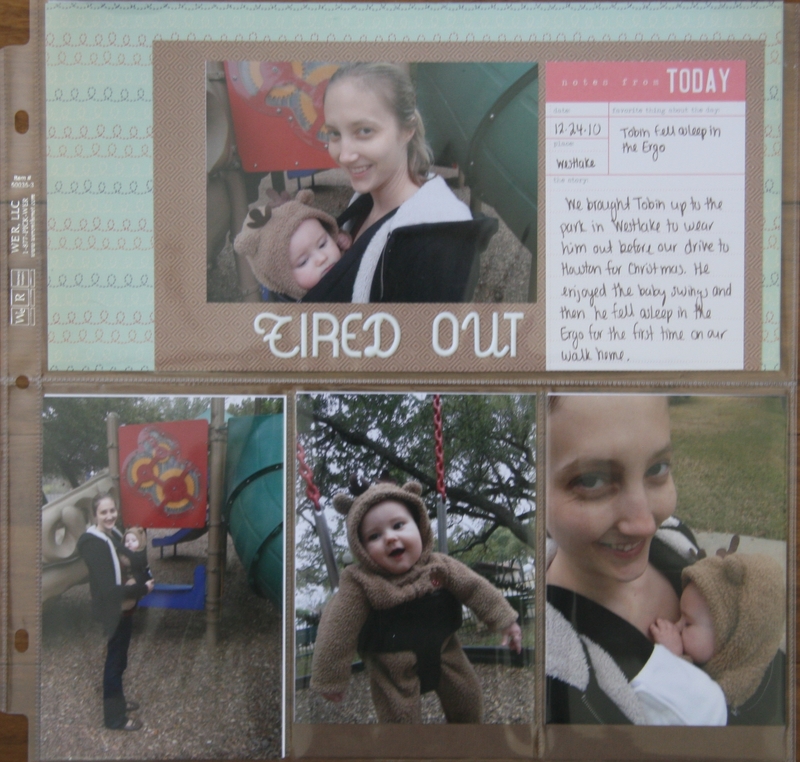 I love how quickly I can throw together these divided album refill pages! We loved, loved, loved this reindeer suit for Tobin. We also had the bear suit and we miss them so much since he outgrew them. On a side note, I didn’t have my Cricut when I needed to cut the circles so they are based off a plate, glass, and vase from the kitchen cabinet. Haha. 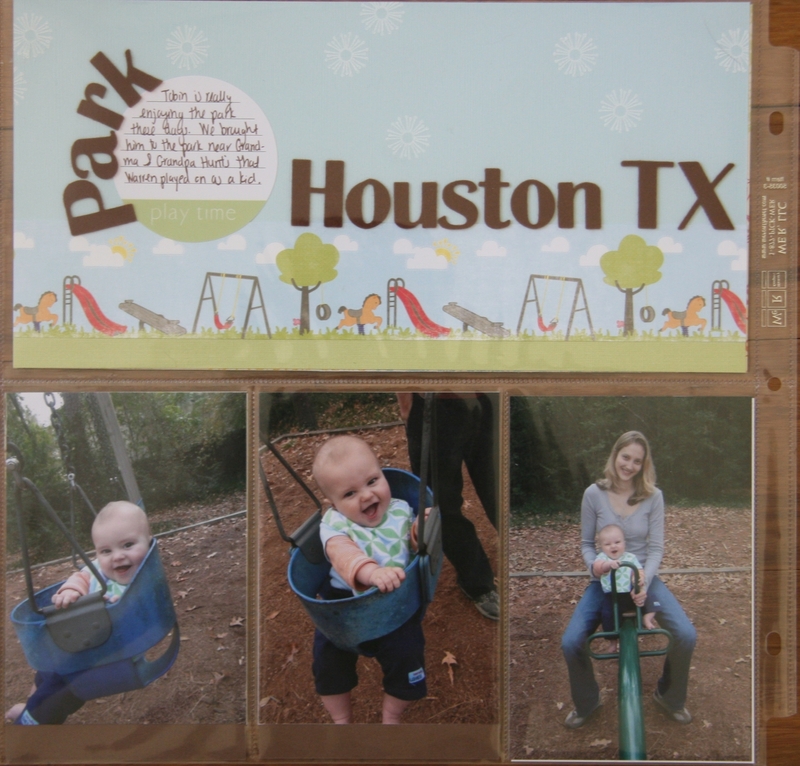 Here is another quick layout created with the We R Memory Keepers divided page protectors. I am using these to help get caught up on scrapbooking without losing the fun of themed, patterned papers and the joy of putting pages together. My new catching up plan is to utilize these album refills to get some layouts done quickly. Since the openings are mostly 4×6, I don’t need to print my photos in varying sizes and I can focus on only filling a smaller area with journaling and a title. We were making pizzas for dinner and started the dough in our bread machine. Tobin was fascinated watching the stirring action. Here I used the We R Memory Keepers album refills with 3 4×6 vertical openings and a 6×12 horizontal opening. I take more vertical photos than horizontal so this design was a good match for my style.